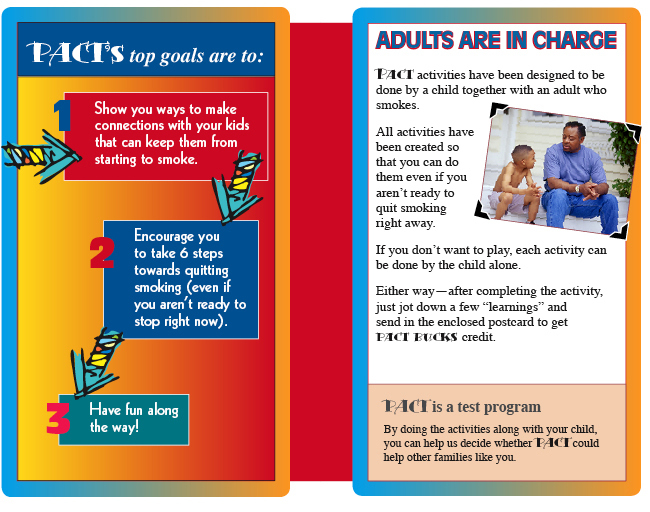 Adult smokers with children between the ages of 9 and 12, and their children. 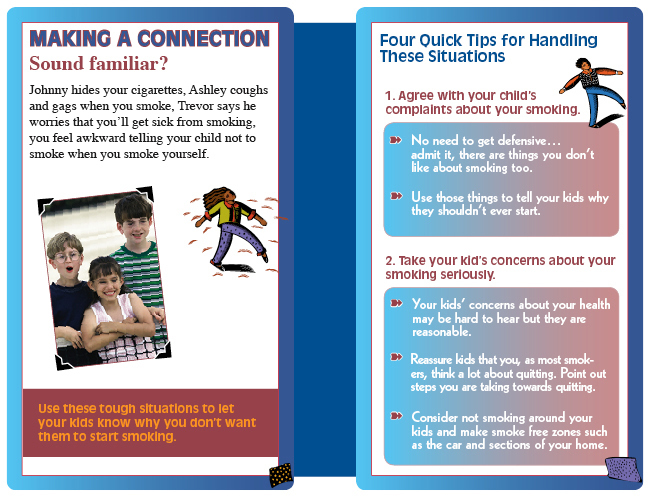 Encourage parents and children to talk to each other about smoking to prevent smoking uptake by children. 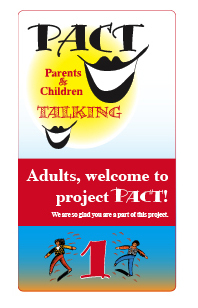 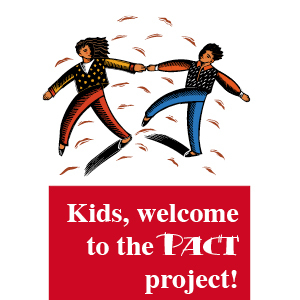 Serialized newsletters for adults, paired with activity packs for children. 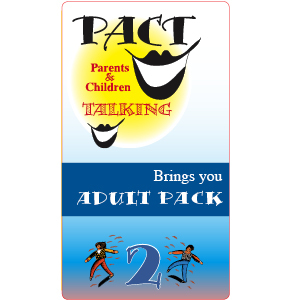 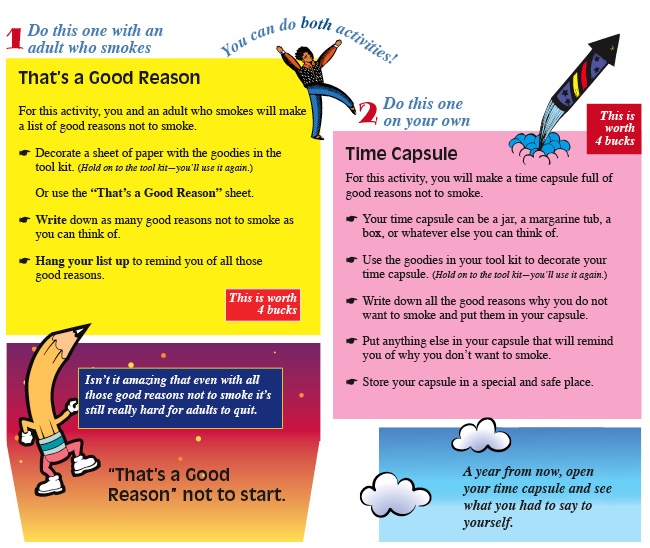 Activity packs contain games and activities that children can complete with a parent or on their own.